Please note that the content of this book primarily consists of articles available from Wikipedia or other free sources online. Midland is a town in southern Cabarrus County in the U.S. state of North Carolina. Located in the south-central portion of the state, it lies in the region known as the Piedmont. 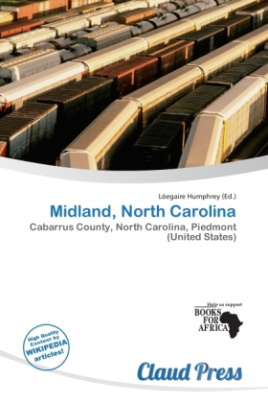 The name of the town is derived from its location approximately one-half way between Charlotte and Oakboro on the railroad line. As the town was not yet incorporated at the time of the 2000 census, it was not listed then, but 2006 Census Bureau estimates give the town's population as 2,978.